Startijenn..Trawalc'h! - Scottish..'Kreiz da fas! 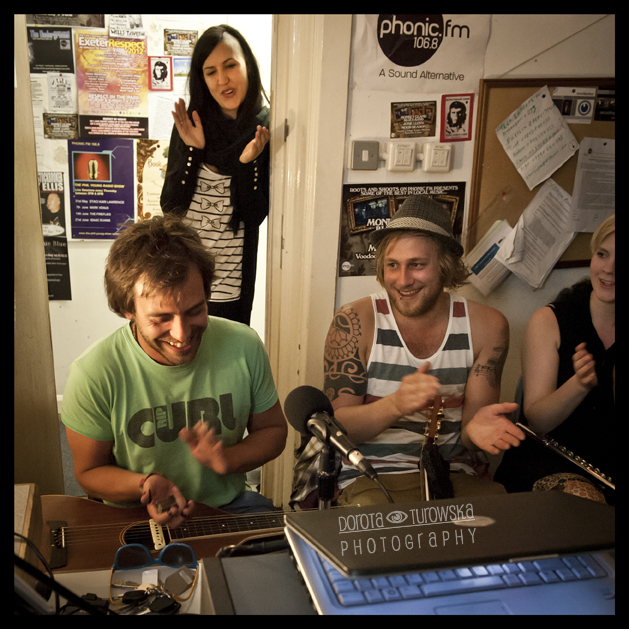 Pic by Dorota Turowska: Sam Green with slide guitar with Eric Ness and others in the Phonic FM studio.